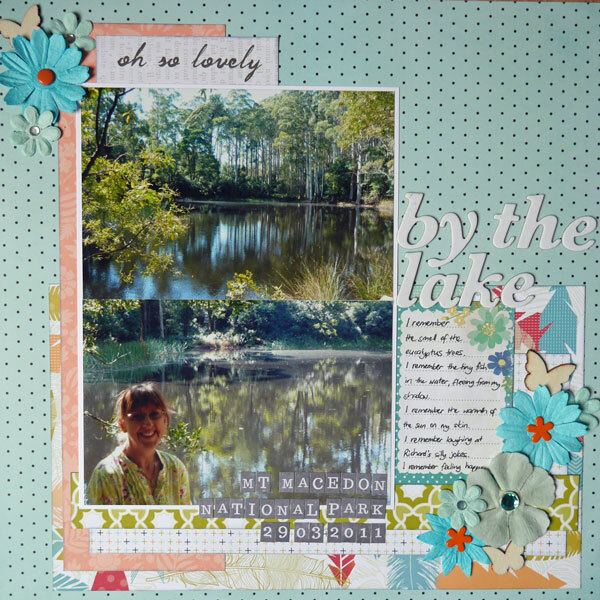 Two layouts for challenges on Shimelle’s blog. 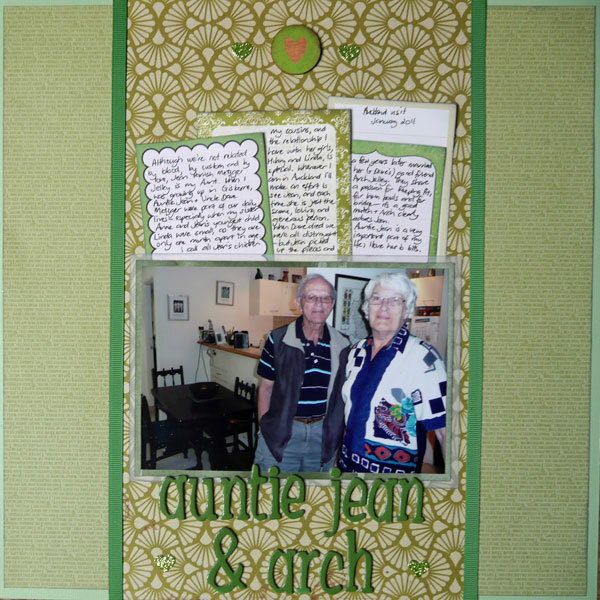 The top layout is both a monochromatic and colour-blocked layout. Love the two photos – one from 1965, the other from 2012! The second layout was inspired by maps or globes, and I chose the journey DH and I have taken as a couple. 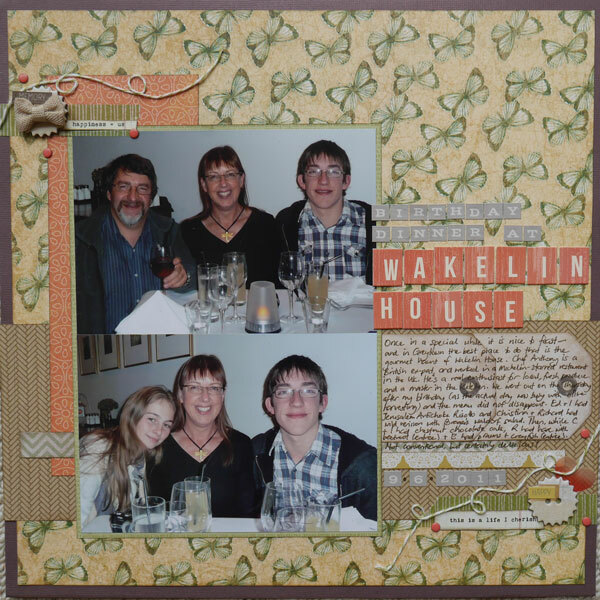 More scrapbooking – this time from a session at my fellow-Scrapmate Carmel’s place. 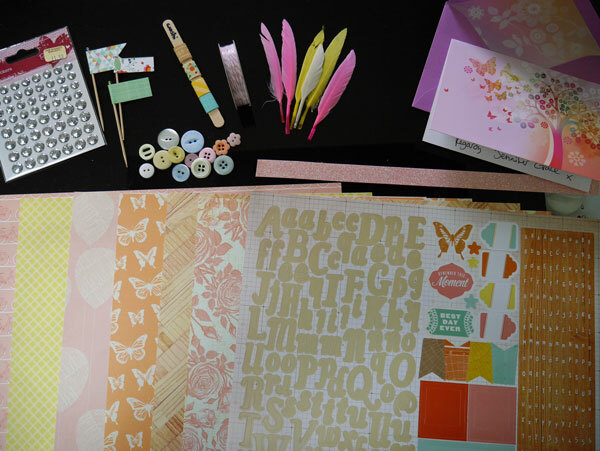 As I was to be crafting away from home I made up a kit of supplies (papers, journalling cards, label stickers, ribbon, and wood veneer; I also included brads and flowers as haven’t used them for such a long time!. 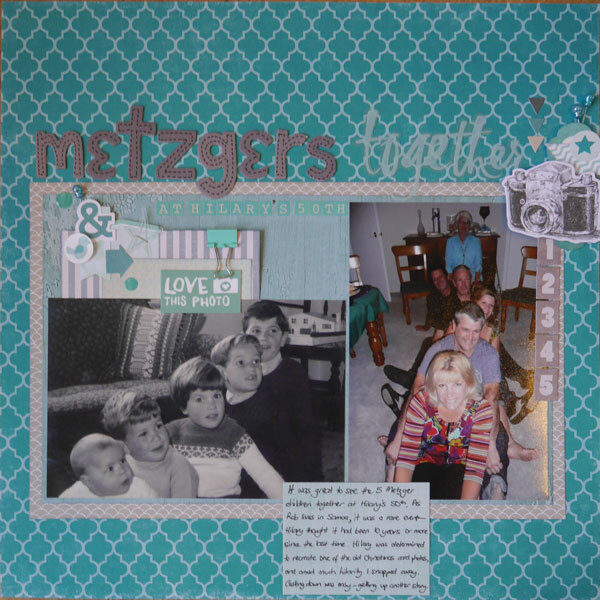 Once again I did the 3-2-1 photo layouts, as this sequence usually gets me into the scrapbooking groove quickly. It obviously worked yesterday, as these three layouts took me less than three hours (although I did have to finish off the 1-photo layout’s journalling after I got home). I’ve been working with photos from our 2007 trip to the Big Island of Hawaii over the past few months. 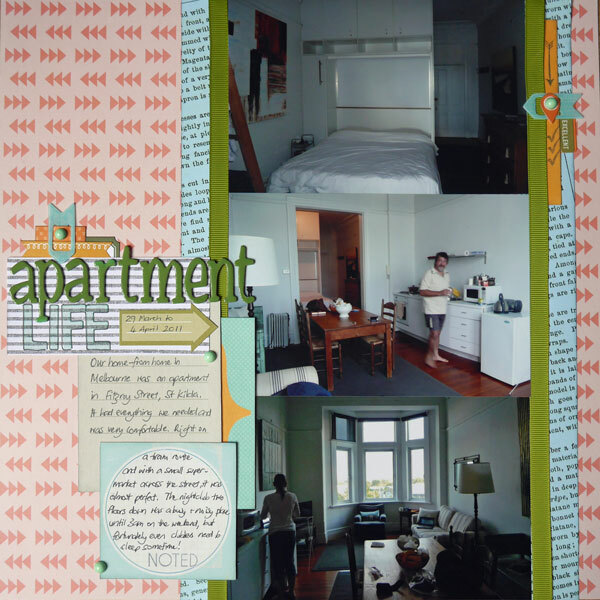 It might seem a bit of overkill to create an album of 12×12 layouts devoted to just one 10-day holiday, but I’ve been having a great time re-living some of our adventures. In fact, one album is completely full and I’ve started on volume two…. 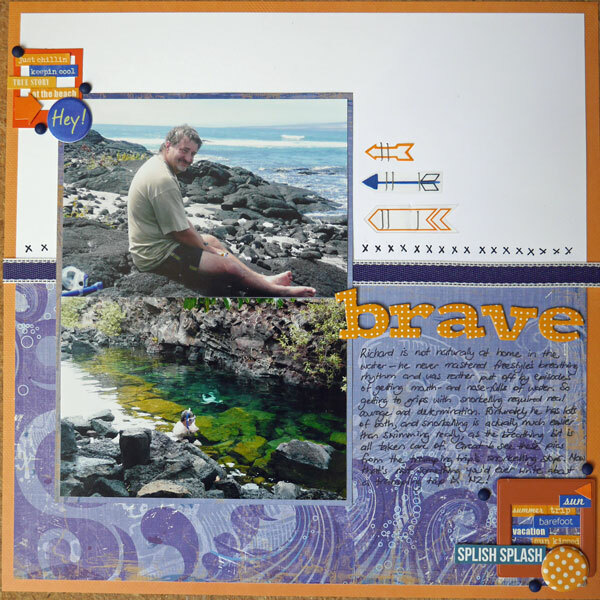 Brave – the story of Richard’s snorkelling adventures in Volcano National Park. There are lots of ideas still to come in the Frosty Festivities series, and some fantastic give-aways, so why not play along too? Resolutions aren’t for me. Instead, since 2009 I have selected a single word to be my focus for the year ahead. I first heard about this from Ali Edwards, and you can read more about it on her blog here. For 2014 I have chosen the word MORE. I believe I have been doing good things for my physical, mental and emotional health – and now I am going to focus on doing MORE of them. 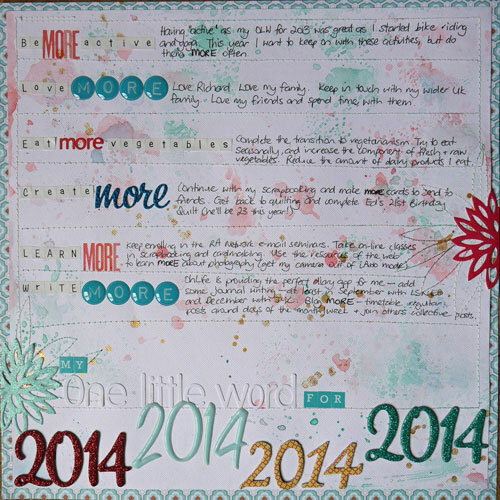 I saw this inspiring video and I created a similar layout to celebrate and record my intentions for how my One Little Word – MORE – will manifest in my life through 2014. 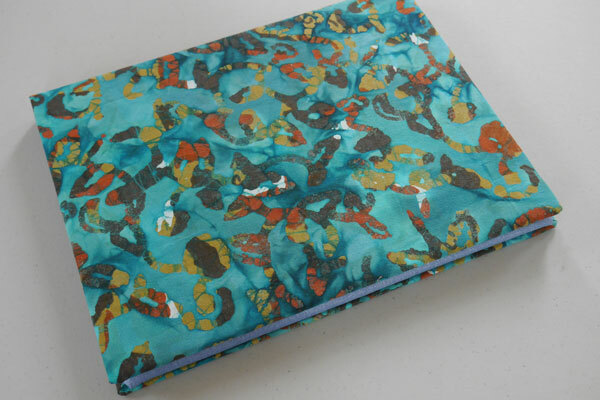 I really enjoyed doing the stitching and making the watercolour background. Celine’s instructions on the video were easy to follow – although I did make a practice page first for the watercolour part. 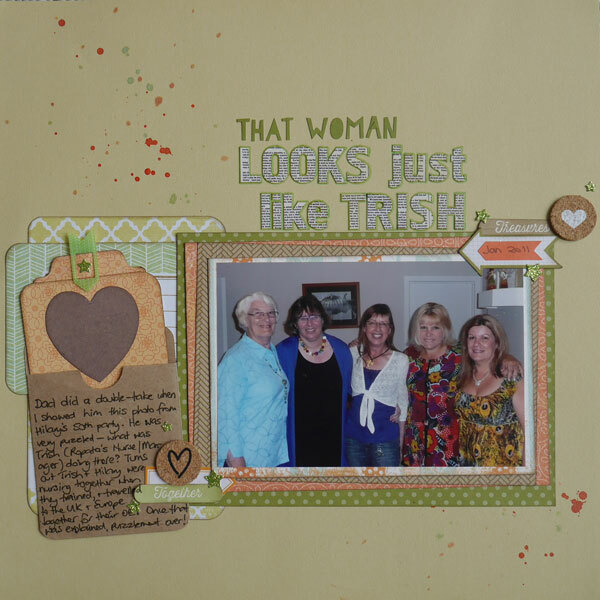 I think this is only the second layout (ever) I have made that uses no photographs – but I might do more of them if they all turn out as well as this one! To follow on from #1 and #3-6 yesterday, here are #7-11 (I’m on a roll here folks)! 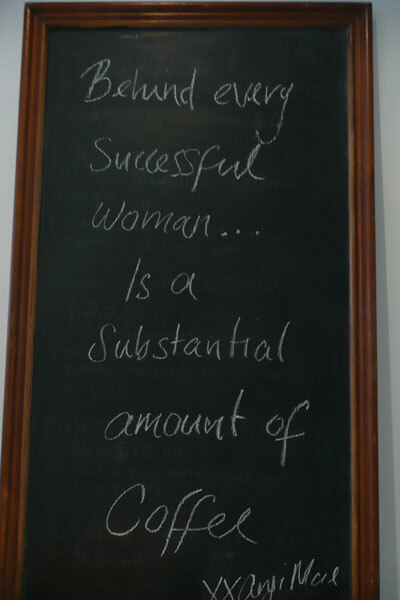 We saw this in the jewellery manufacturers’ showroom that was part of our Bargains & Bubbles shopping tour in Melbourne. So true! 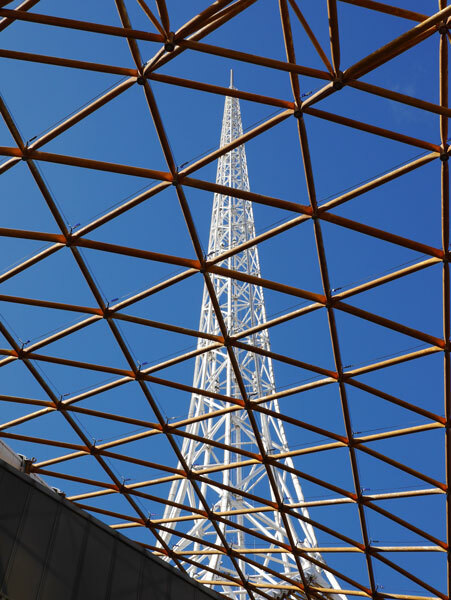 Take 1 is a nice ‘arty’ shot of the Melbourne Arts Centre Tower from underneath. 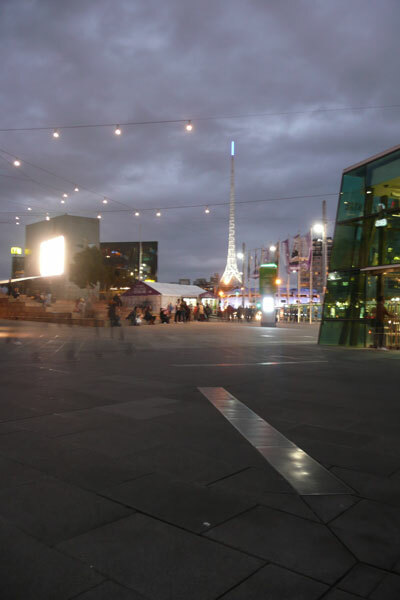 Take 2 shows the same tower viewed from Federation Square in the dusk. One thing that really impressed us about Melbourne was the variety and quality of the architecture – this tower being but one example. 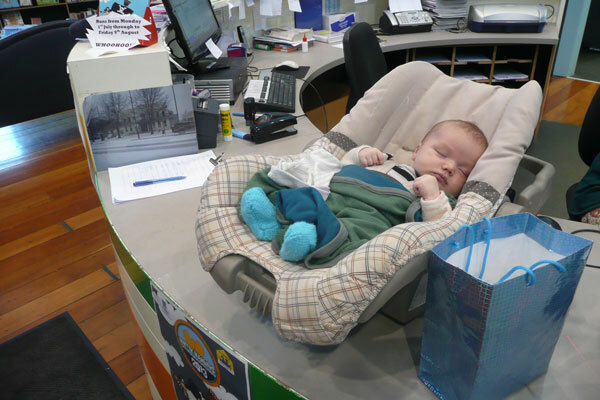 This is our library circulation desk. Baby Hugo is clearly not a book waiting to be checked in or checked out, hence he is a perfect choice for #9! 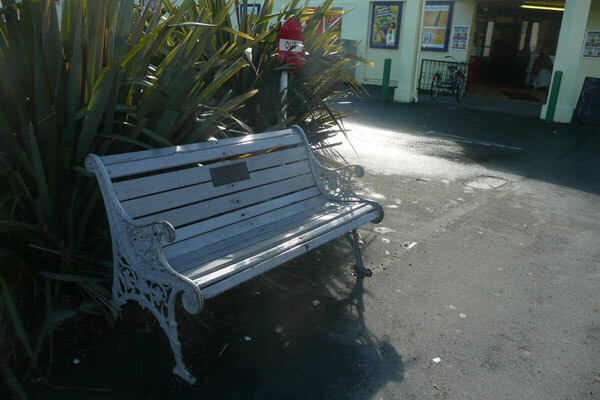 This rather lovely, traditionally styled bench is outside the Community Supermarket in our town’s main street. 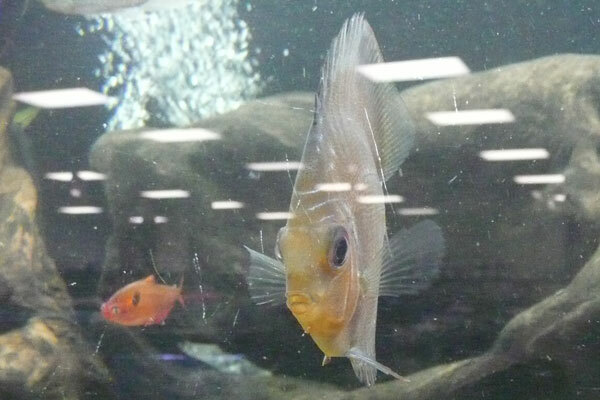 #11 An animal in a zoo, aquarium, nature preserve, etc. This is possibly a bit of a cheat, as I think Rinda intended that the photo should come from a special visit to an Aquarium (with a capital A). While Melbourne does have a wonderful Aquarium, I’d visited that on my last visit and didn’t want to go again (it would have taken too many hours away from the principal purpose of our visit – shopping!). This photo was taken in a pet shop – but as I was delighted with the pose of this fish, I’m including it as my entry anyway! What do you think of my photo choices so far? If you were setting the rules, would you allow my entries for #4 and #11? Have you ever participated in a scavenger hunt (of any kind, not just a photography one)? 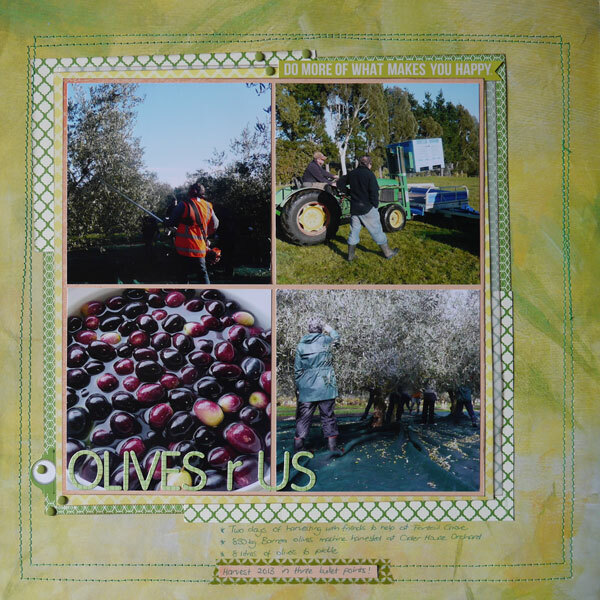 I’ve been on a scavenger hunt – for photos on topics nominated by Rinda of Gallo Organico blog. The hunt began on 22 June, and participants have until 21 September to complete the list. It’s a Summer list for those in the northern hemisphere, but here in the south I’ve still had fun trying to complete it. 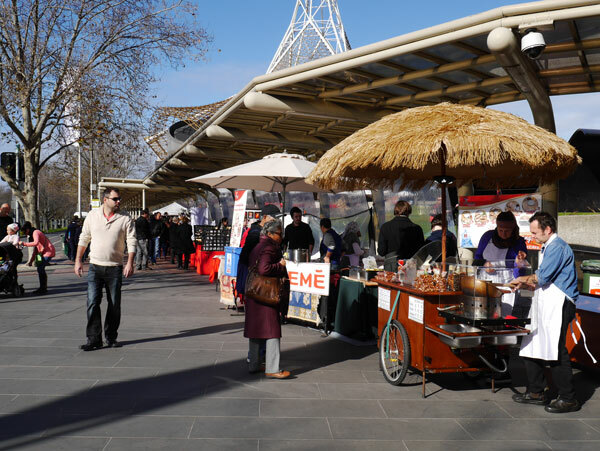 This is just part of the Makers Market which is on every Sunday at the Arts Centre in Melbourne. Sunday was our ‘no shops’ day – but of course that meant that we could happily shop at the market instead! 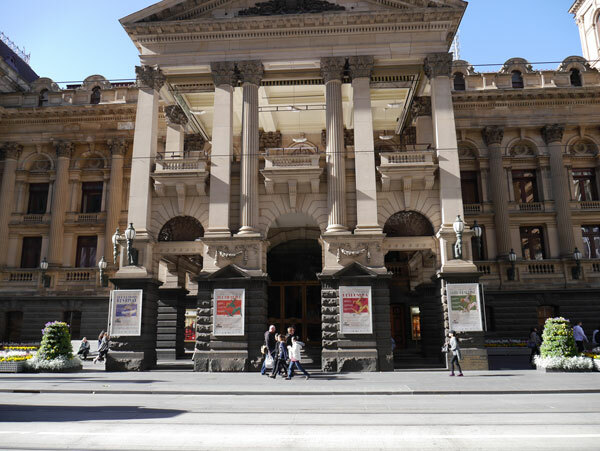 This is Melbourne’s Town Hall, and very grandly Victorian it is too. 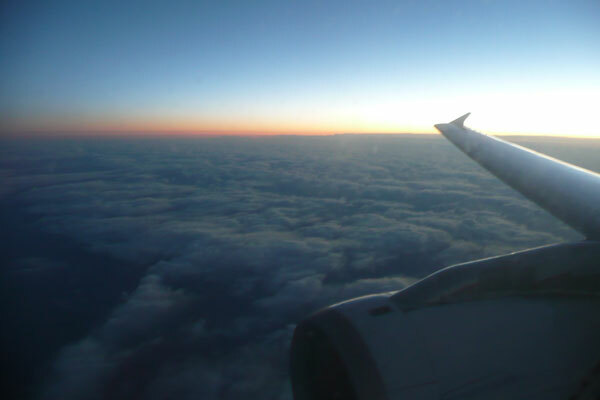 I’m quite pleased with my take on this one, catching the sunrise from the aircraft window, with enough of the plane in shot to qualify, I hope! 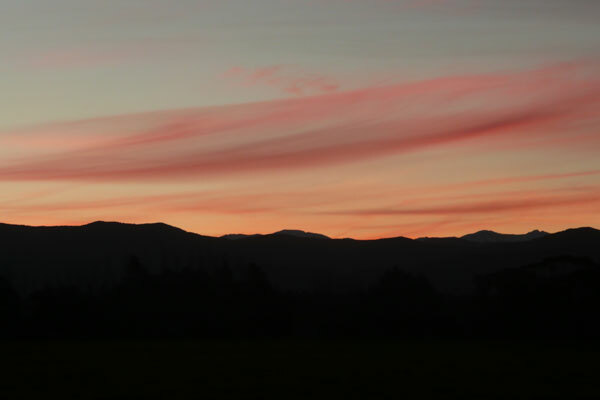 This one is from much closer to home – it’s the view from the front gate one clear and about-to-be-frosty evening. I might get into trouble with a certain young lady for posting this one…. 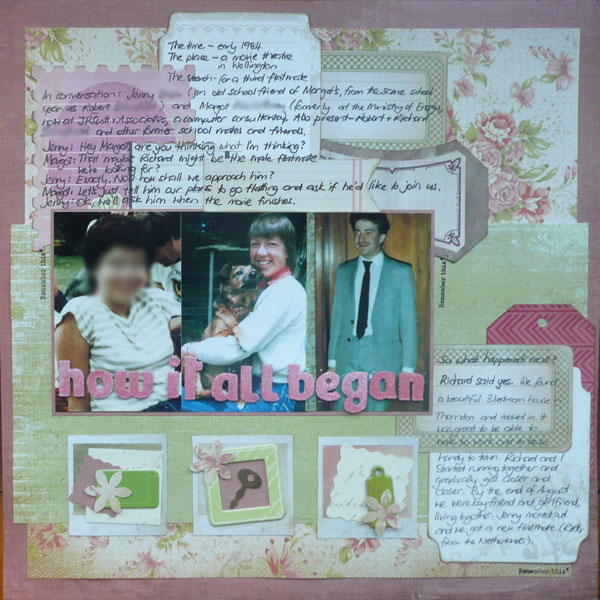 It feels good to tell the story of how DH and I got together – and because the prompt said ‘pick paper you really love’ I finally put to use that pretty floral pattern that’s been sitting in my ‘save for something special’ pile. The subject prompt for Week 3 was ‘hands’ and at first I couldn’t think of anything – but when I took a look at some old blog posts (in view of the 100th post coming up) I found this one. Perfect! It’s been a long time since I used a monochromatic colour scheme, and I’ve never, ever, used a red one before. While I was making it I managed to cut myself on something and it took me a while to realise not all the red on my hands was actually ink! 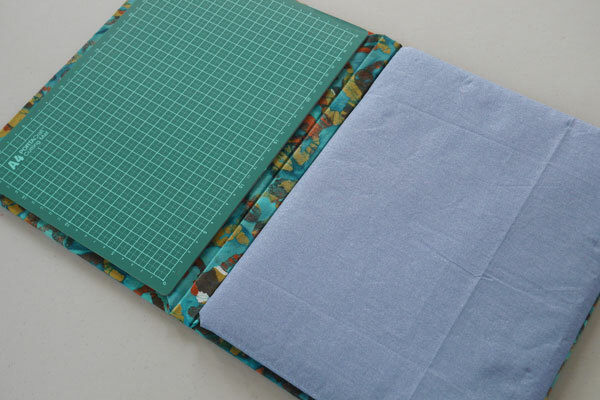 (The story from the blog post and additional pictures are in the pocket behind the photos).